Claude Monet. Road at La Cavée, Pourville. 1882. Click the image to zoom in. Please give yourself the gift of a few minutes with this painting. Look at it. Be with it. Listen, inwardly, to your response. This painting is an embodiment of miracle. To us — my friend Terrill Welch and me — it is a transmission of pure joy. In our conversation about it a few weeks ago, we stayed within this experience, while making an attempt to comprehend how it has been created. So what is it, I ask myself now, that fills this painting with joy? Is simply that the seaside scene brings back the lifetime of memories: morning walks towards the sea, air filled with the sounds of birds and bees, anticipation, excitement? Is it the juxtaposition between two spatial planes — the distant sea stretching to the horizon, and the path directly underneath our feet, with no “middle ground”: nothing but a mystery in between? This arrangement interrupts the conventional, lazy neural pathways we use to interpret space, to give it a familiar shape, and thus opens us up to the freshness of the moment… It is, after all, such openings, while the mind is momentarily puzzled, that are known to create peak experiences. Or is it the contrast between the trembling, complex vibrations of light and colour and the deceptively simple geometric, abstract structure of the painting? Claude Monet. Rouen Cathedral. 1893. 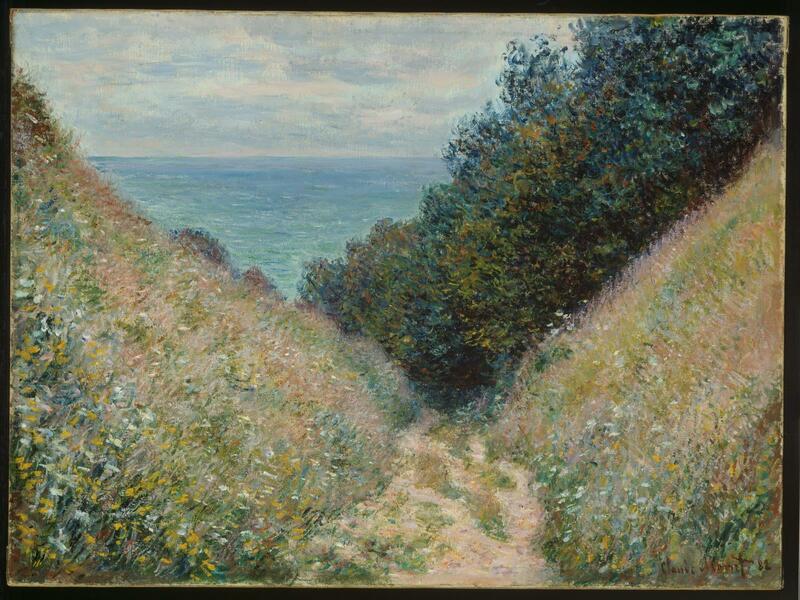 There is a sharp difference between this seascape and more familiar, more “typical” Monet. Every great artist follows an insight, a certain thereto not-quite-visible aspect of visual reality, as far as possible, all the way to the end. 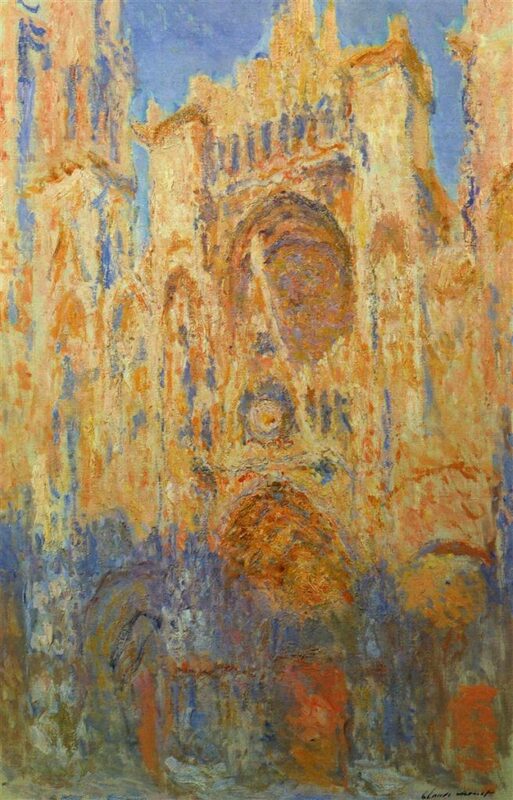 For Monet, it was an experience of light and ever-changing colors — and, quite often, this experience dissolved, or destroyed, the ordinary structure of three-dimensional space. But here, in this painting, it is as though he brought back the treasure of his extraordinary experience back to us, the spectators, into our familiar space, so we can comprehend it, even integrate it into our own visual experience.